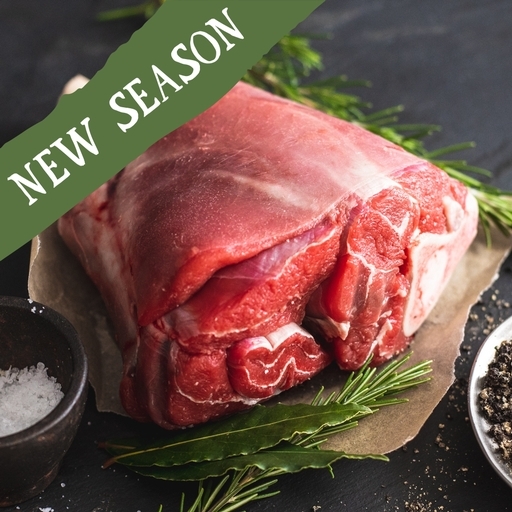 Organic venison shank, reared free-range on West Country farms and prepared in our butchery. A seasonal alternative to lamb shank, braise or roast it low and slow and you’ll be rewarded with rich, meltingly tender meat. For less traditional autumn comfort, cook venison shank in a fragrantly spiced tagine and serve with herby couscous. Serves 3-4. For a classic braised shank, fry diced onion, carrot and celery for 15 mins. Season the shank and brown in oil. Add the veg, crushed garlic, rosemary or thyme, juniper and bay. Add a glass of red wine and enough stock to cover the shank. Season and simmer or oven bake on a low heat (150˚C/Gas 2) for 2 ½-3 hours, until the meat falls off the bone. Reduce the sauce to serve.